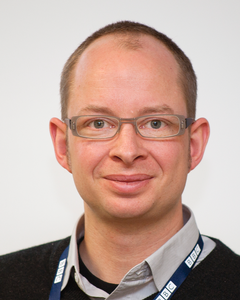 Dr Frank Melchior is head of the audio research team and the Audio Research Partnerhip at BBC R&D. He received a Dipl.Ing. (equiv. to Master of Science) in Media Technology from the Technical University Ilmenau and a doctoral degree on the topic of spatial sound design and acoustics from University of Technology, Delft, The Netherlands. Frank worked as a researcher and project manager at the Fraunhofer Institute for Digital Media Technology. He has spent his professional career developing audio systems including wave field synthesis based system and leading R&D teams on various topics including authoring, live sound applications, automotive audio and motion picture sound. Before he joined the BBC he was the Chief Technical Officer at IOSONO, Erfurt, Germany, who develop spatial audio solutions. Frank's research interests include spatial array signal processing, spatial audio reproduction, user interface technology for audio systems and listening experiments. Frank is very passionate about finding the best way to bring the emotion and creative ideas embedded in sound to the listener.